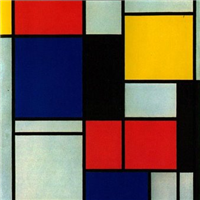 Minimalism is an art movement, born in the twentieth century, which describes various forms of art, music, literature, design and architecture, where the work is reduced to the bare essentials. 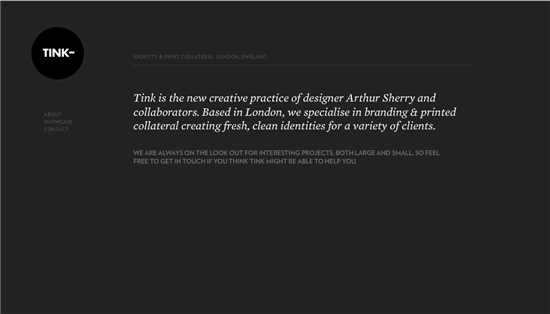 In web design, minimalism refers to the use of the smallest amount of images, colors, shapes, values and lines. 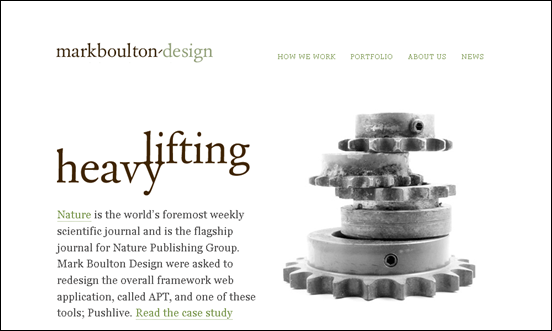 The site is stripped down to the fundamentals required to convey the message. 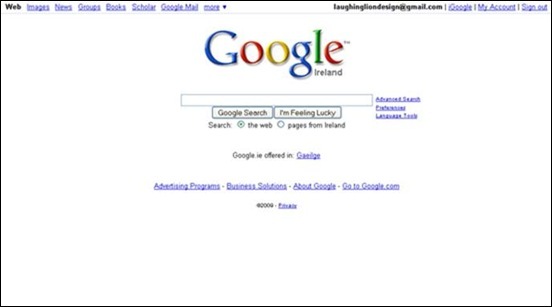 Minimalist web designs generally rely on type and simple shapes to do the communicating. You wonâ€™t find heavy textures and lots of images on these sites, and although the design could be considered â€œsimple,â€� itâ€™s not necessarily easy to pull off an attractive design in this style. 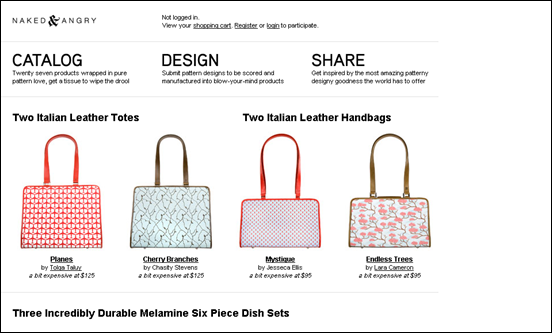 The mantra, content is king, is applicable to all types of web sites and minimalism certainly lends itself to this idea. With few distractions on the page, the visitorâ€™s eye is drawn directly to the content. 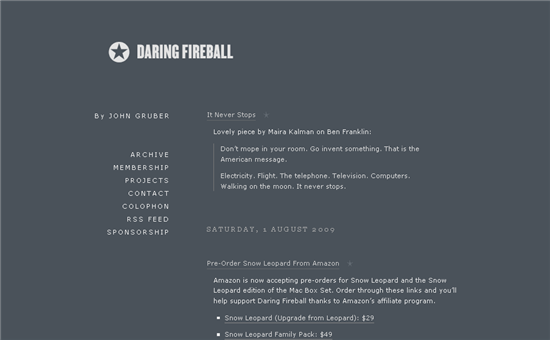 Here, for your viewing pleasure and inspiration, are nine examples of minimalist web designs. 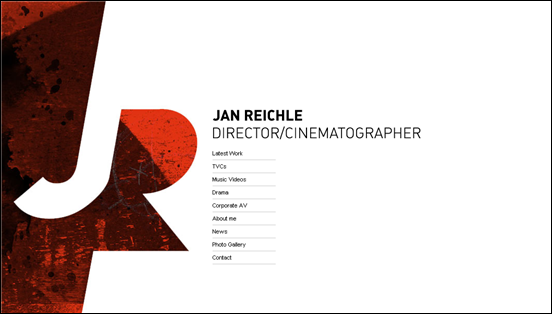 Jan Reichle is an art director and cinematographer. Naked & Angry is an ecommerce site which keeps the fluff to a minimum. Shaun Inman (of sIFR fame) shows that minimalism doesnâ€™t mean lack of color. Full Cream Milk does use some imagery, but it is simple and repeated throughout the site. And finally, you might have seen these guys before. Theyâ€™re an up and coming outfit â€“ something to do with searching the web. Minimalism is obviously not everyoneâ€™s cup of tea. 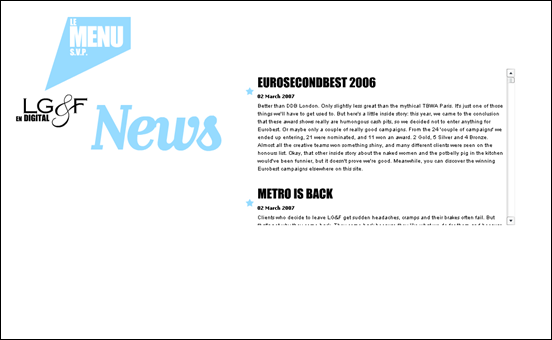 I personally find these sites appealing because of their lack of clutter and easy navigation. What do you think of this style of web design? Have you seen any minimalist design sites that you really liked?